Boldur the Unbearable is a gruff, axe-wielding native of Ekkunar who has survived the last two millennia through sheer stubbornness. 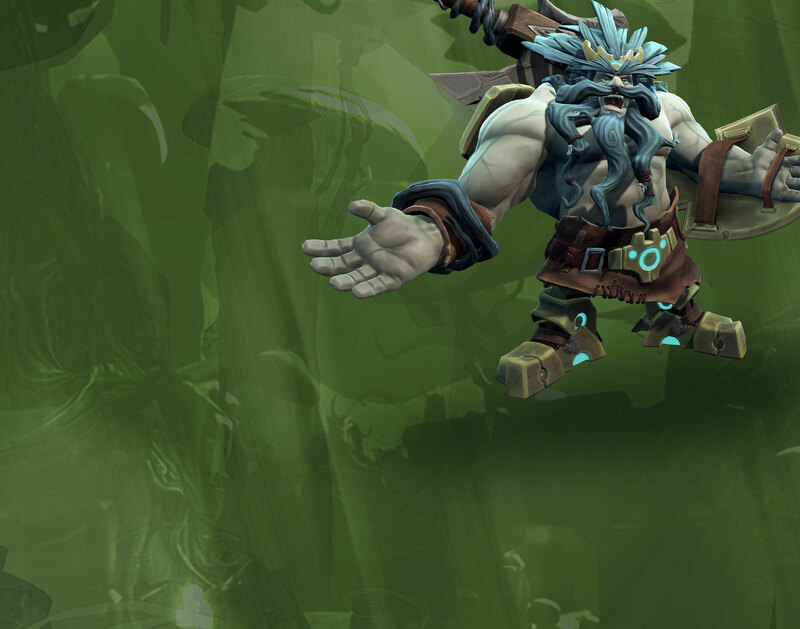 Tough as a gnarled root, the Ekkuni dwarf carries only a rune-forged axe and shield into battle against any foe who dares land their dropship in his front yard. Boldur deals slow, powerful melee strikes with his Runic Axe. 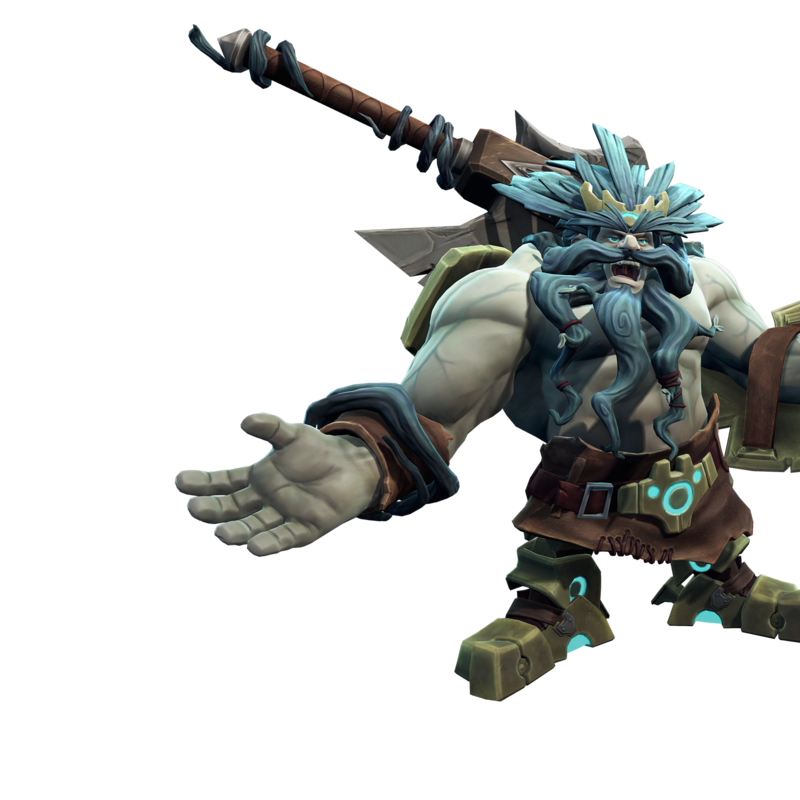 When he throws the axe, Boldur falls back on hand-to-hand combat to take enemies down. Though he lacks an energy shield, Boldur is an elite defender, utilizing his Eldrid greatshield to block incoming damage, and rapid health regeneration to stay in the fight. Boldur leaps forward, dealing damage and knocking back enemies. Rune Power: Dash causes an explosion on contact. Throws Boldur's axe through multiple enemies, dealing damage to each enemy. Rune Power: Axe explodes on impact, dealing damage to nearby enemies. Increases Axe damage when meleeing or health regeneration when blocking damage while Shielding. Using Axe Toss or Boldurdash, consumes the magic. Killing enemies causes Boldur to melee faster for a short time. If Axe Toss fails to strike and enemy, the axe is immediately returned to Boldur's hand. Activating Boldurdash immediately activates Rage. Increases the speed with which Boldur raises his shield to block incoming damage. Enemies hit with Axe Toss suffer bleed damage. When Rage is active, Boldur's movement speed is increased. Increases the damage of all Boldur's melee attacks. Retrieving Boldur's axe reduces Axe Toss's cooldown. While Runes of Power is active, striking an enemy with Boldur's melee attack immediately activates rage. Using Boldurdash generates an Overshield on Boldur for a brief period. Boldur continues to dash forward after hitting an enemy with Boldurdash, allowing him to hit multiple enemies. Enemies are now Knocked Up instead of Knocked Back. When Boldur is unarmed, his primary melee attacks slow enemies. Enemies hit with Axe Toss are stunned. When Rage is active, Boldur's health regeneration rate increases. Boldur's health regeneration rate is increased. Killing an enemy with Axe Toss grants Boldur additional maximum health. Health bonuses reset on death. Activating Runes of Power a second time when it is still active instantly replenishes Boldur's health.